The Réviance® Facelift provides an overall lift to the lower third of your face and neck. Compared to a traditional facelift, it is a quicker procedure associated with a much faster recovery. The Réviance® Facelift is particularly well-suited for middle-aged and younger patients and can make a dramatic change in the way you look by tightening sagging muscles and skin of the cheeks and jowls. Older patients may also be excellent candidates. Dr. Chan will begin the facelift with incisions—the location of these incisions depends on your anatomy and severity of your case. From here, he can tighten the underlying tissue and muscles. Dr. Chan can also smooth out the skin to remove wrinkles and signs of aging. A Réviance® Lift is performed using local anesthesia and may be combined with neck contouring procedures. Results from your Réviance® procedure can be further enhanced with subsequent laser resurfacing to smooth wrinkles and provide greater skin contraction. Ask Dr. Chan about the new, revolutionary Réviance® Laser Lift Package. The Réviance® Lift can be combined with volumizing procedures such as the use of fillers and fat grafting to create a fuller, more youthful look to your face. You may notice bruising and swelling following surgery, which usually subsides within 1 to 2 weeks. Dr. Chan will prescribe pain medication to alleviate any post surgical discomfort. Be sure to carefully follow all of the post operative instructions provided to you to avoid any complications and shorten your recovery time. The cost for your facelift surgery can be discussed at your initial cosmetic surgery consultation. Schedule your facelift consultation today to discuss all of your pricing and financing options. 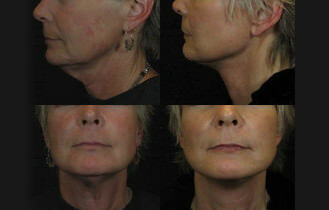 Click Here to See Our Facelift Before and After Photos!